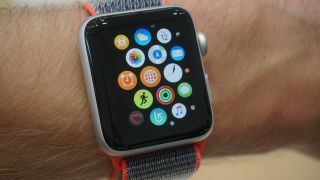 The big new feature of the Apple Watch 3 is LTE, letting you use data and take calls without your iPhone, but while you can roam internationally with your phone, you apparently won’t be able to with the Watch 3. A Reddit user asked Apple support about roaming and was reportedly told exactly that, so for example a European Apple Watch 3 won’t work with a US carrier and vice versa. But worse than that, at least for those in Europe, the Apple Watch 3 also won’t let you roam across countries in the European Union (EU), despite free EU roaming now being a requirement for mobile networks. It will only work on your home network. This might be a hardware limitation, though Neowin points out that the Samsung Gear S3 Frontier, which uses a similar eSIM to enable data, does allow you to roam and switch network when abroad. This probably won’t be a deal-breaker for most users, but given the $399/£399/AU$559 cost of the LTE-enabled Watch it’s worth knowing.